You've probably run through multiple fire drills, but do you know how to prepare for an earthquake? On Thursday at 10:20 a.m. local time, millions of people around the world will join the annual Great ShakeOut, where participants practice taking cover during an earthquake. Scientists from the U.S. Geological Survey say nearly half of Americans are exposed to potentially damaging earthquakes based on where they work and live. In the San Francisco Bay Area, there's a two-in-three chance of a major, magnitude 6.7 quake striking during the next 30 years, according to USGS. 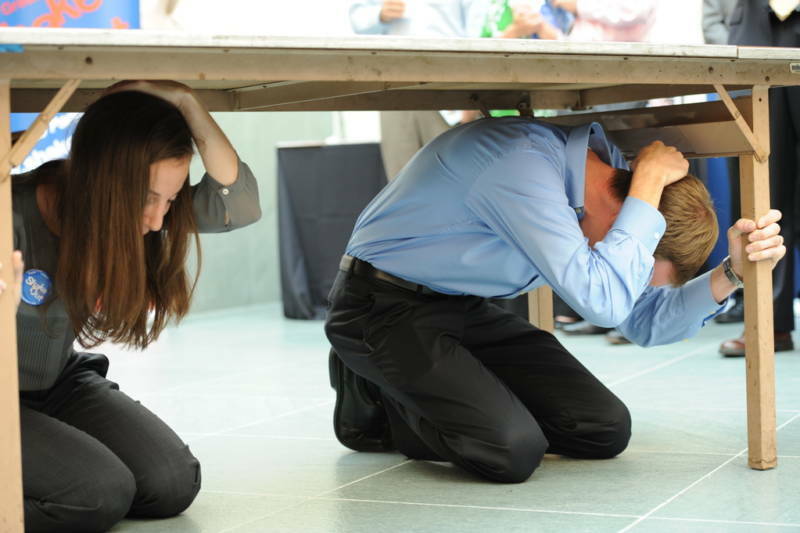 To participate in California's ShakeOut, ask your employer if the company is planning to practice during the drill. If it's not, you can still join and register online. Then at 10:20 a.m., follow these three actions: drop, cover and hold on. Drop to the ground. The shaking during an earthquake can take your feet out from under you, so it's important to stay low. Crouch down and cover your neck and head with your arms to prevent injury from flying objects or debris. Then, hold on. If you're able to take shelter under a table or desk, grab onto one of the legs and stay there. Stay in this position for an at least 60 seconds when you practice. It may seem like an eternity but the shaking from a major event can last a minute or more. And forget the timeworn advice to stand in a doorway. That worked when people lived in older homes of unreinforced masonry. Doorways in modern homes are no stronger than any other part of the house and experts say you're actually safer under a table. If you're outside in an open area you're better off than in a building, but watch out for falling debris and power lines. For information about what to do if you’re driving or are in a wheelchair, check out the guide from the Earthquake Country Alliance. FEMA has an earthquake safety checklist and the Department of Homeland Security has a detailed list of items to include in an earthquake kit. This year's ShakeOut comes (perhaps not by accident) just a day after USGS scientists published a study highlighting the linkage between two of the Bay Area's more menacing faults, the Hayward, which runs along the East Bay Hills, and the Rodgers Creek Fault, which cuts a similar angle through the North Bay. Geologists say a newly-confirmed connection between the two faults affirms that a joint event could result in an earthquake of magnitude 7.4 -- significantly more intense the the Loma Prieta quake of 1989. That October temblor remains the most devastating to hit the Bay Area since the Great San Francisco Earthquake of 1906. Researchers say four California faults, including the Hayward Fault and Calaveras Fault which directly underly cities, have built up enough seismic strain to cause destructive quakes. 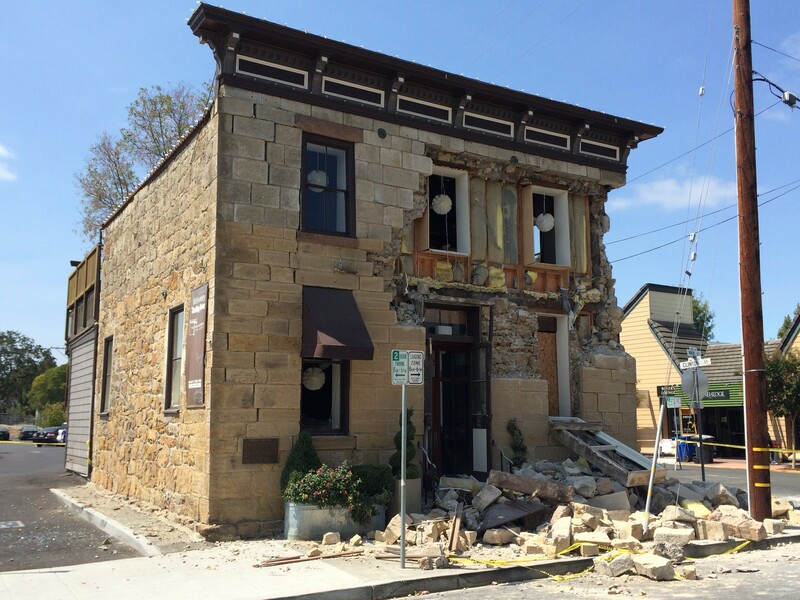 The 6.0 magnitude South Napa quake which struck two years ago was the largest earthquake in over 25 years to hit the San Francisco Bay Area, causing significant damage in Napa, American Canyon and Vallejo.